Several feet away stood her mother, who also glared as she held baby sister (about 12 months old) in her arms. The girl kept her composure but avoided her parents’ gaze. She seemed alone and vulnerable — a “problem child” estranged from her family. If this mini-snapshot was typical of her family dynamic, it was hard to fathom this little girl not feeling resentment towards her baby sister. The arrival of a new baby is often the most dramatic change in a young child’s life, and if this transition isn’t handled with sensitivity and empathy, some children will have difficulty regaining their footing. 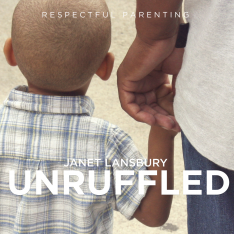 At stake are our child’s healthy relationships with parents and siblings, as well as her sense of security and self-worth. It may feel counterintuitive to suggest these feelings to your child (won’t this encourage her to feel negatively toward the baby?). The truth is that the more you can openly accept and acknowledge, even welcome your child’s negative thoughts and emotions, the more space you will clear for your children to form a genuinely loving bond with their siblings. 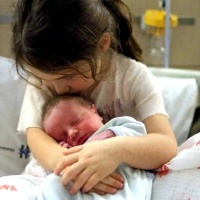 Second children are born into a much different environment than their big brothers or sisters. Having an older sibling is exciting. So as much as possible, let it be. Let it be noisier and more chaotic, and let there be more interruptions to the baby’s playtime. Let big sister take toys away from the baby when they’re “playing together” as long as this is physically safe. Understand that this impulse is powerful and symbolic of the rivalry the older child feels. Most babies don’t mind the toys being removed from them unless their parents do. In fact, this is the way they “play” with another child. The less you focus on these harmless behaviors, the less compelling it will be for the older child to repeat them. This is just what I needed to read as the mum of a little girl with a new cousin. The family gave all been wonderful but are starting to wonder why she isn’t more excited about the new baby. I am so thankful for the advice on how to help her through these new feelings. I will also be trying some of these suggestions with a child I work with. 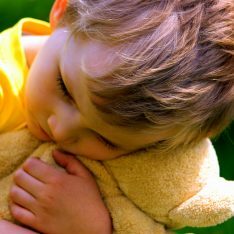 She has a baby brother, and although he is older I hope some of these approaches can help her and her family deal with how she is feeling. What do we do when we feel like it’s too late? I wish I had read this article before the arrival of our son. My daughter is struggling and I feel like we have wronged her with our reactions and remarks. Her behavior seems to be totally out of control. How do I win her back? Please, help!